A catcher has to endure a great deal of physical stress during the course of a season. Even catching during one game can be difficult due to foul tips that can cause huge bruises if they come in contact with an unprotected area of the body. In addition, the constant up-and-down movements can be tiring. The legs go through the most abuse, and padding called knee savers can help protect the catcher's legs. Put on your shin guards and all your catcher's gear as you normally would. Shin guards buckle on the inside. Make sure the protective piece that fits over your knee is on correctly before fastening the buckles. 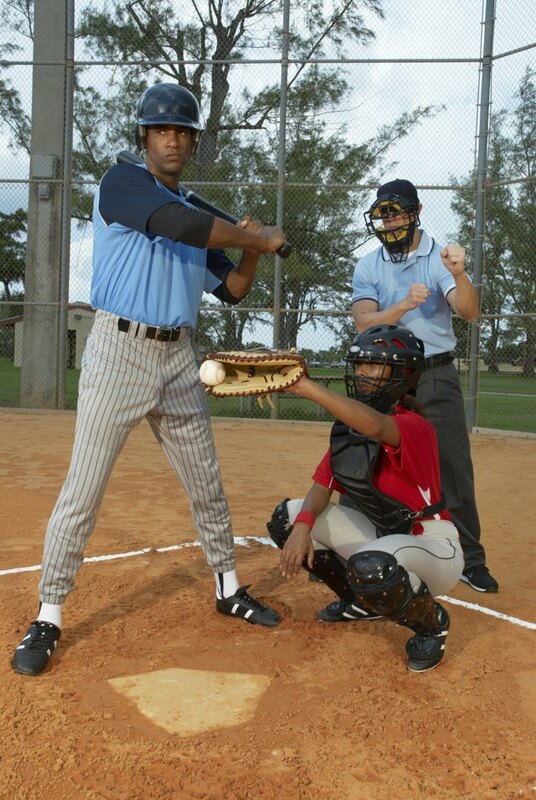 Assume the catcher's crouch, and place the knee savers on the back of your calf muscles. The knee savers are made of foam and support your calf muscles, thighs and buttocks. Make sure the corner of the knee saver is facing the inside part of your knee. There are two hooks on the outside of each knee saver. Connect the top hook to the circle hook closest to the knee of the shin guard and the low hook to the circle hook just below the knee. Hook the inside of the knee saver to the inside circle hooks of the shin guard. Connect the top hook to the circle that is closest to the knee, and connect the second hook to the circle hook that is just below the knee. Adjust the knee savers while in your crouch. The pads should be directly below your thighs and sitting on top of your calf muscles. They will move slightly as you get up to throw the ball or make a play. Just push the knee savers back into place as often as necessary.